Insurance Rates: Why Are They So High? Can The Type of Car Increase Your Car Insurance Quote? This article was contributed by Katherine Wood, a writer for HomeInsurance.com. The site's Homeowners Blog serves as a resource center for home and auto insurance consumers across the country. The views and advice of contributors are their own, and not necessarily those of DriveTime. 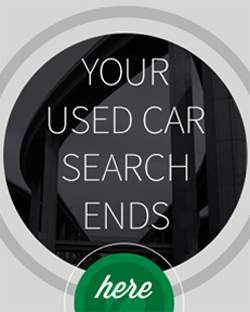 You've been saving for months, waiting to take the plunge and buy an affordable car. You've studied reviews, Blue Book values, and calculated your budget carefully so you know what you can afford to pay. Based on your research, you've decided on a make and model. So now you're ready for a test drive, haggling, and signing papers, right? It's not that simple. Your car budget also must save room for car insurance – liability coverage is required in every state, and your lender likely will require you to have collision, comprehensive, and uninsured/underinsured motorist coverage. When you search for the best deal on a car, you should keep in mind factors that will get you a good price on your auto insurance. After all, spending less on insurance means you'll have more to spend on the car. A good first step could be checking on the average auto insurance premium in your state. Keep in mind that the average premium is just that – an average. With a little work, you may be able to get lower premiums. Insurance carriers base premiums on several factors, including where you live, how much you drive, your age, and your gender. If you live in an urban area, drive 20,000 miles a year, and are a 19-year-old man, you will likely pay more for coverage than a 40-year-old woman who drives 8,000 miles a year in a rural setting. Why? Statistics say the first driver is more likely to suffer a loss through a wreck or theft, which means you present greater risk. Pay attention to the car's safety rating. The safer the car, the lower the risk of a claim, and the better chance you'll have a lower premium. Examine its safety features. Cars with automatic air bags can qualify for discounts on auto insurance. Anti-lock brakes also are a plus, as are daytime running lights. Determine its security features. An automobile with anti-theft devices such as alarms, vehicle tracking and VIN (Vehicle Identification Number) etching also can result in discounts. Insurance for red cars costs more. Buy whatever color you want, your provider likely won't even ask. There is no statistical difference in the risk presented by car colors. Older cars cost less to insure. While the replacement value of an older car may be lower, safety factors of certain makes could have more of an effect of coverage than the age of a vehicle. Cheaper cars cost less to insure. See above. Some cars are cheaper because they aren't built as sturdy, which means they could present additional risk. Shop your coverage. Every provider weighs factors differently, so shop around for the best price. Find independent agents who can get quotes from several carriers. Bundling. One of the best ways to cut your insurance bill is to bundle coverages with the same provider. If you buy home and auto insurance from the same provider, you could save up to 20%. There also are discounts for bundling renter's and auto insurance and for insuring all your vehicles with the same provider. Deductibles. Your deductible is the amount you must contribute before your carrier will pay for a covered claim. The higher you set your deductible, the lower the premium is likely to be. One warning: Don't set the deductible too high; you could need to come up with that amount. Improve your credit score. Insurance providers use your credit score as part of their formula for predicting risk. The better your score, the lower risk you present, which could lower your premiums. How can you improve your score? Pay bills on time, keep your credit card use under control, and lower your debt-to-income ratio. A byproduct of improving your credit score: You could get a lower interest rate on your car loan and save even more money. Defensive driver classes. Your driving history, of course, plays a huge role in what you pay for car insurance. If your record is less-than-stellar, one step you could take is enrolling in a certified defensive driver course. Some providers offer discounts for successful completion of such courses. Telematics. Telematics are devices that monitor how fast you drive, your braking patterns, and the hours you're on the road. 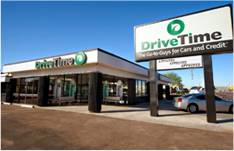 Some carriers provide discounts to drivers who demonstrate good habits. Stay as informed about insurance shopping as you are about your car purchase and you can find the vehicle and coverage at the price that's right for you. Then you can drive off into the sunset in a car that's new to you. Love the misconception on red cars. I’ve heard this loads of times before. Imagine if it were true, like neon yellow cars were a higher insurance because of the increased glare… On a serious note, telematics are a great way to save on insurance after buying a car. Thank you for reaching out to us. 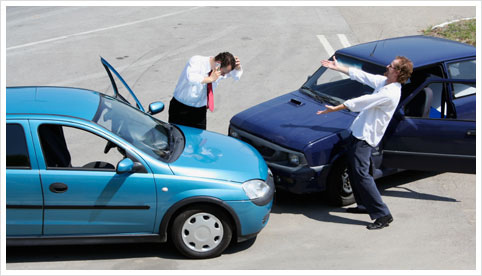 Motor vehicle insurance is the responsibility of the owner/operator of the vehicle. We do not apply additional insurance to the vehicle. In regards to repairing vehicles, we do not have the ability to break vehicle repair costs down into our Bridgecrest loans. I would like to know more about your situation. When possible, please reach out to our Customer Relations team at (888)290-0148.